Rwanda is one of the smallest nations in the world, with 10,169 sq. miles (26,338 sq.km.). With a population of more than 11 million people, Rwanda is one of the most densely populated countries in the world. The Cook Islands Mission was established in 1892. Rwanda is one of only three countries where you can see Mountain Gorillas. Jessica and her family live in Kigali, the capital city of the tiny country of Rwanda in eastern Africa (point out the country of Rwanda on a map). Jessica was sad because her father was gone from home a lot and he drank a lot of alcohol. But one day when Jessica was eight years old she received an invitation that would change her life, and the life of her family. Jessica’s uncle, the younger brother of her father, invited her to come to church with him. He said that there was going to be a special program for children. Jessica was excited when her parents said that she could go with her uncle! When she arrived at the church, Jessica was surprised to see so many children there. She loved the songs and the stories, and the teacher even remembered her name! She could hardly wait to come back. 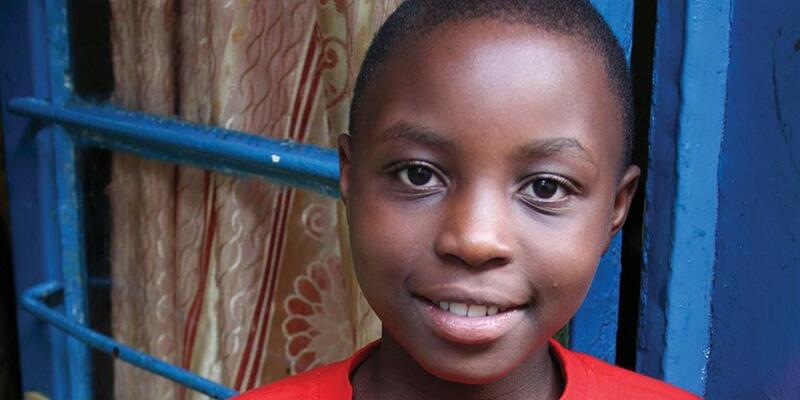 As Jessica continued going to Sabbath School and church, she learned more and more about Jesus and His love. She felt happy to know that she was special to Jesus and she wanted to tell her family about Him. One Sabbath morning before going to Sabbath School, Jessica saw her father coming home with a bottle of beer in his hand. He was drunk. Jessica started to cry. “Why are you crying?” Jessica’s father asked. “I want you to stop drinking beer,” she told him. Jessica’s father was sad to see his daughter crying. And he did stop drinking—at home. But he still went to the bar where he drank. Jessica prayed for her father every day. And she invited her parents to come to church with her. Even though they didn’t come right away, Jessica kept inviting them—and she kept praying. Then, Jessica’s father had two dreams. In his first dream he saw a church, but there weren’t any people inside and grass was growing on the floor. In his next dream he saw the same church, but this time there were people inside and they were singing while some people were being baptized. Jessica’s father knew it was an Adventist church because he recognized the song. It was the same song he used to sing when he was a boy and went to church with his parents. He started to think about coming back to God. The Holy Spirit was working on his heart. Things became harder for Jessica’s father. He lost his job. Then thieves came and stole what money he still had. He didn’t know what to do. Then He remembered God. One day two ladies from the Adventist church came to visit Jessica’s family. They invited Jessica’s father and mother to some special evangelistic meetings at the church. Jessica was so excited when her parents agreed to come to the meetings! Jessica’s parents enjoyed the music and the Bible presentations. When the preacher spoke about people who had left God and were sad, Jessica’s father felt as if the pastor was talking about him. At the end of the sermon the pastor invited those who wanted to give their heart to Jesus and be baptized to come to the front. Jessica was so happy when her father went forward! Not long afterward, Jessica’s mother decided that she also wanted to be baptized. Jessica was very happy that her parents were baptized, but she also wanted the rest of the family to give their hearts to Jesus. So she talked with her other relatives and told them about how powerful God is, and she invited them to church. Before long eight people were baptized! Jessica and her family are so happy now! “We’re happy together and we praise God for our new life,” her father says.